Lenovo recently initialized the sale of much awaited smartphone, Lenovo K3 Note. The phone is equipped with high end specifications along with an alluring price tag. 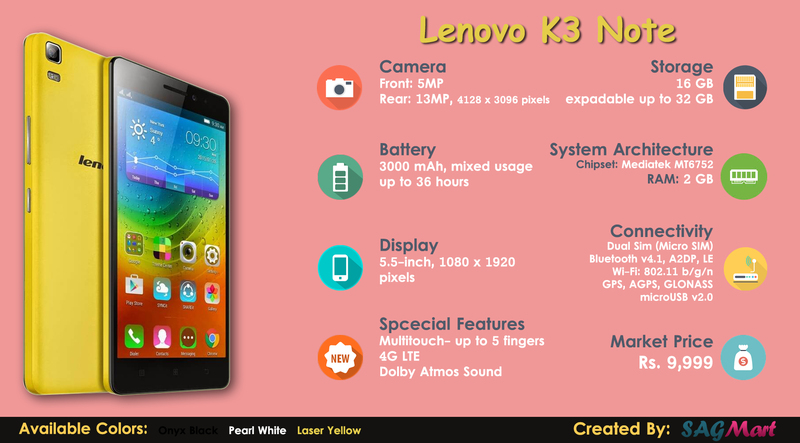 Checkout the specifications, price and other details of K3 Note in form of Infographic.